THE HATE U GIVE arrives on Digital Download on 14th February and DVD on 18th February. To celebrate, we’re giving away a copy on DVD along with a copy of The Hate U Give book and new novel from Angie Thomas On the Come Up! 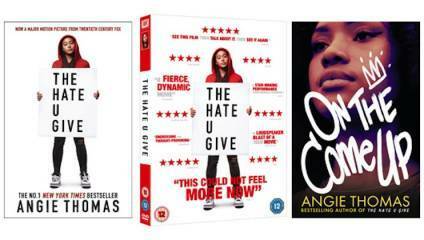 Enter below to win the DVD, The Hate U Give book and Angie Thomas’ new novel On the Come Up. The Hate U Give arrives on digital download on 14 February and DVD on 18 February. On the Come Up by Angie Thomas is published by Walker Books, price £7.99 paperback original.